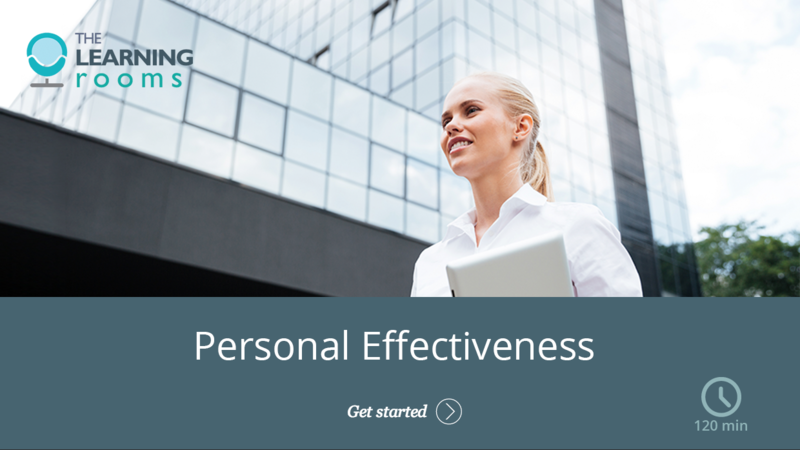 This online Personal Effectiveness course is designed to help participants understand their personal working styles and how it impacts on others. It will enable participants to strengthen their personal and professional resourcefulness to help deal with situations that occur in their work and personal life. Personal Effectiveness helps the participant achieve their full potential by making positive changes in their approach at work. Participants will gain the tools to help build their own personal resilience, develop effective communication styles and learn how to best plan and manage their time. This course is designed for people who want to improve their overall effectiveness at work through developing stronger relationships, increasing their confidence and and managing stress better. This course will be of particular help to those taking on new roles and responsibilities and to those who want to make positive changes in their working lives. This Personal Effectiveness course will help you understand the importance of resilience in the workplace and develop your communication and time management skills. It will also help you to achieve success through the development of important personal and interpersonal skills and offers tools to deal with many challenging workplace situations. The most effective communication is clear and direct. Communications Skills explores different styles of communication and will equip you with the skills to communicate in an assertive way, by following clear steps that you can apply to a range of work situations. It also explores how you can hone your listening skills to help build positive and productive relationships with the people you interact with throughout your working life. Using time effectively and efficiently is a constant challenge. The Time Management module helps you build and improve your time management skills to enable you to be more productive and experience less stress. It explores how you can set goals, prioritise tasks, manage obstacles and use scheduling to make the best use of your time. It explains how to use the Eisenhower Matrix to prioritise tasks depending on their urgency and importance. This enables you to decide where to focus your attention and consider what can be delegated or scheduled for later. Resilience in the Workplace looks at four key areas for building resilience. It explores how to manage stress and gives you helpful tools to function effectively in difficult situations. The module then explores self-awareness, looking at it from the perspective of Covey’s 4 intelligences and the important role they play in strengthening your resilience. The module looks at different aspects of emotional intelligence that can help you perform better under pressure. Finally, it will help you gain clarity around the reality of difficult situations you might be facing helping equip you to deal with them.